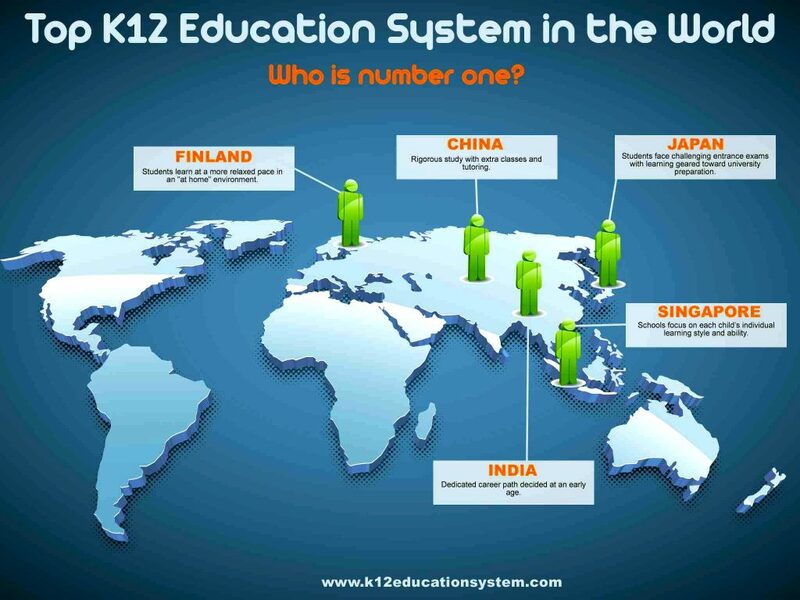 What K-12 education system is getting the best results? Education is important, right? Talk about an understatement! I can’t stress how crucial it is that children receive a solid K-12 education. The benefits are innumerable. Let’s take a look at those, as well as which education systems have been getting the best results. Enrollment in K-12 education prepares children for much of their future experiences. It helps them learn to appreciate routine and to become social, both of which are key tools for survival as an adult in the workplace and simple day to day life. It should also serve as no surprise that those with an education will find themselves having a much easier time finding employment. There is an element of due-paying in play here – if you’ve put in years of work in school, you’ll inherently be more suited to overcome whatever problems a potential job may present you. Now, which countries are getting the best results? Overall, students from Finland have been found to score better across all fields of study. It’s worth noting that the Finnish approach for teaching allows students a bit more time to work at a pace that is best for them. The work presented to them is at a high level, but there is less of it overall, and it isn’t considered the worst thing if it isn’t completed immediately. This almost seems contrary to what goes on in other schools, but they get great results all the same. The key factor is that the importance is placed on the work, not the path taken to master it. Finnish teachers (a highly sought after position, wherein a Masters Degree is required) can even stray from the curriculum if they feel it will best serve their students. There are many more elements at play in Finland, but the truly beautiful part is that anything their students learn sticks because they are legitimately engaged and interested in it. The education system in India is also a great one. Contrary to some societies, the majority of Indian children have decided upon their career goals by grade 1! Following whatever path they may choose helps them keep motivated the whole way through. The methods for teaching there are also highly interactive and inventive, which is always encouraging. Another strong country for education is Singapore. Education here generally begins with preschool at the age of three and their Kindergarten actually lasts for two years instead of one! The needs of the individual student are at the forefront in Singapore, an approach which will always produce better results when everyone gets the time they need. Australia, China, the UK, Japan, Norway, South Korea, New Zealand, Israel, Canada, and the United States all have fairly successful educational systems as well. The approaches are all different in numerous ways, but the one factor shared amongst them is that they are all highly funded. Importance is placed upon them, and the conversations as to what can be done to make them better are always at the forefront. With this alone, education will thrive and flourish. If you are an education professional of any kind, or simply a parent about to enroll your child into school, I hope this article has helped you grasp the importance of a good K-12 system. It is also of great use to consider what some of the best-educated countries out there are doing to get optimal results out of their students. With more and more emphasis placed on bettering our education systems, our world will only become better and brighter as time moves on.